Hello! My name is Shelly and I've wanted a Big Green Egg as long as I can remember, but couldn't justify $1000 for a 'grill'. Fast forward to a few years ago when I saw the Char-Griller Akorn Kamado in Home Depot. 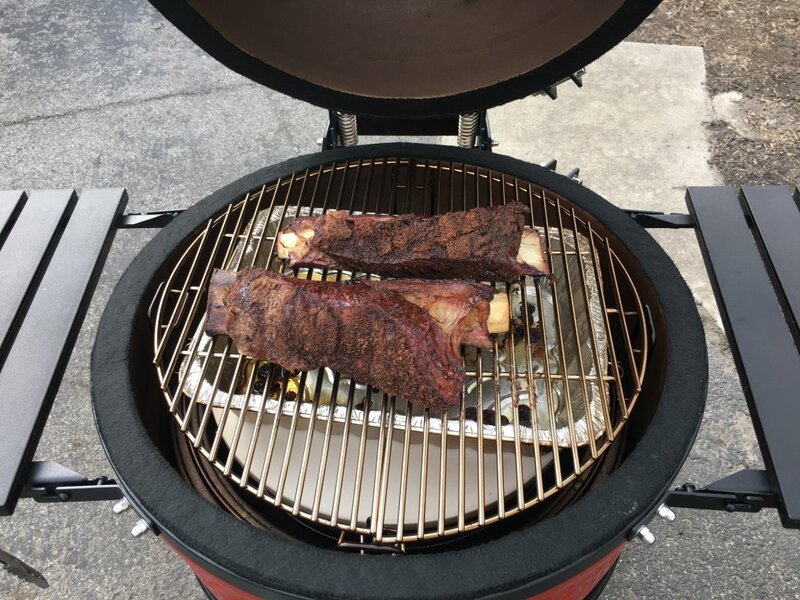 I went home to do a bunch of research and decided it was a good start to be sure I could even cook on a kamado and figured if I liked it, I'd eventually upgrade to a Big Green Egg. The Akorn was a lot of work, especially on windy days. I added the Big Green Egg gasket to the ash tray, which made a huge difference and found myself looking forward to planning cooks on the kamado. It never let me down! Recently decided I was ready for ceramic. After doing a bunch of research I fell in love with the Kamado Joe. It was so close to the Large Big Green Egg I thought I would own and had a great reputation. I went to Lowe's to play with it to be sure I could handle the weight of the lid on the classic model and it was delivered at the end of March. My first cook was chicken wings. It had to be something quick because it was cold the day after it was delivered in Rochester, NY. Yesterday, we had a nice sunny day with 30mph winds and gusts up to 45mph, so I wanted to see how my new baby held temps. It was amazing! 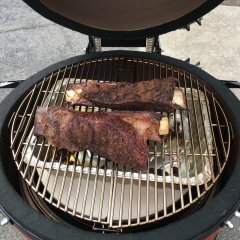 I followed John Setzler's youtube video for short ribs. I dialed the salt back because I am salt sensitive, but was still too much, but loved the idea of using worcestershire sauce as a binder on the beef. 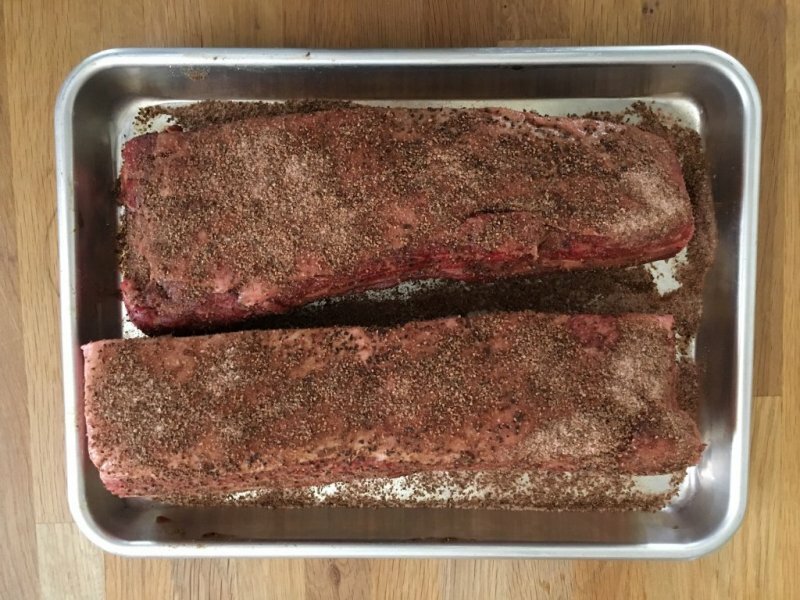 My KJ held 250 perfectly and I can't wait to do ribs, pork shoulder and brisket. 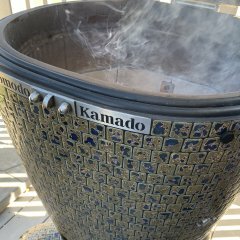 Welcome to Kamado Guru. 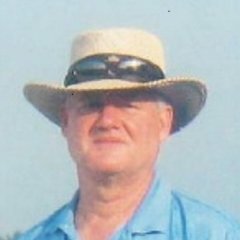 A lot of members (including myself) have a story similar to years. No way paying the big bucks for a BGE. Found the Akorn and went for that. Eventually upgraded to a ceramic Kamado. Thank you for the welcome. I see you have a Komodo Kamado listed as your grill. That is my after I win the lottery kamado. It will be blue lol. Welcome to the Guru and congrats on your Kamado Joe Classic! Welcome to the forum. A ceramic grill never crossed my mind until I had my 3rd grill in 10 years rust out. Delicious looking short ribs. Welcome Aboard. Off to great start with the short ribs. Welcome to the forum Shelly, nice looking cook. Congratulations on your new Kamado Joe! Thank you, Golf Griller. I didn't let a little salt stop me, they were delicious! Welcome! I was never interested in a kamado until we won a mini BGE. And now look where I am!